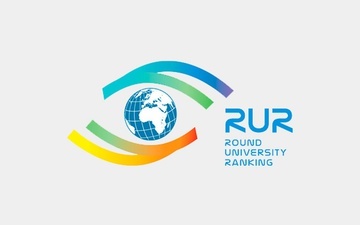 Round University Ranking (RUR) agency together with Clarivate Analytics with information support of Russia Today media group has published a new subject rating of the best universities in the world in the field of life sciences. The ranking includes 27 Russian universities. Altai State University captured the 8th position among Russian universities and the 394th position in the world list and became the only flagship university in Russia that managed to enter this subject rating. It should also be noted that according to the parameters of the subject rating, such as the level of internationalization, ASU entered the top 250 universities of the world ranking list (Silver League of the worlds’ universities). RUR is the first global ranking of universities of Russian origin. Universities in the RUR ranking are evaluated according to 20 parameters grouped into several areas of measurement: quality of teaching (40% of university assessment), quality of research (40%), level of internationalization (10% of university assessment), level of financial sustainability (10%). According to the TASS news agency, RUR ranking agency is the official representative of Times Higher Education, the leading international ranking in Russia and the CIS countries. The data provider for the RUR ranking system is the international company Clarivate Analytics (previously a division of Thomson Reuters for research and intellectual property).